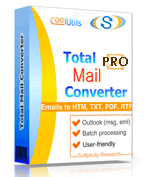 Total Mail Converter Pro helps to convert MSG files to EML with attachments and make them suitable for importing to other mail clients that require EML format. Converted files will fully replicate the content of the originals. Setup conversion parameters and press Start! Soon you will see the files converted and stored in destination folder. 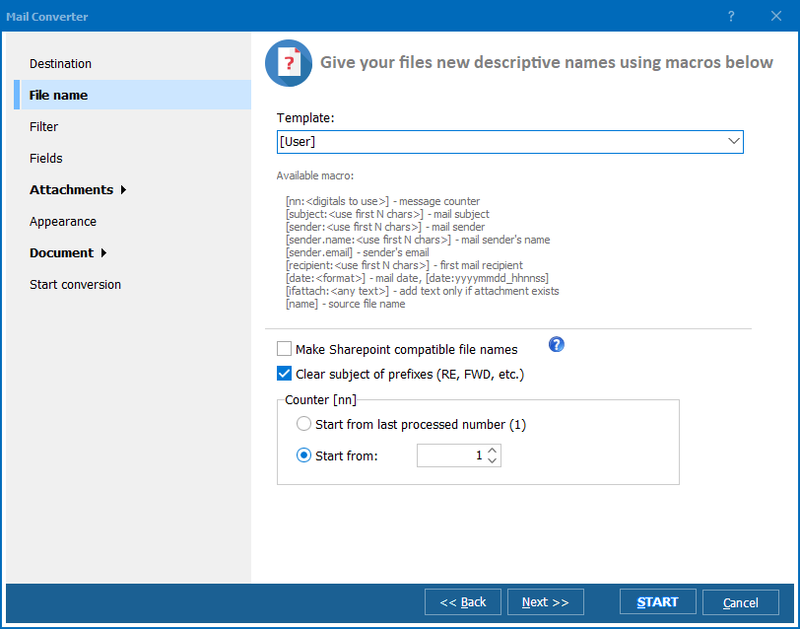 In order to convert MSG into EML including attachments, go to the Attachments tab of the wizard. There you will see a few variants of files processing. 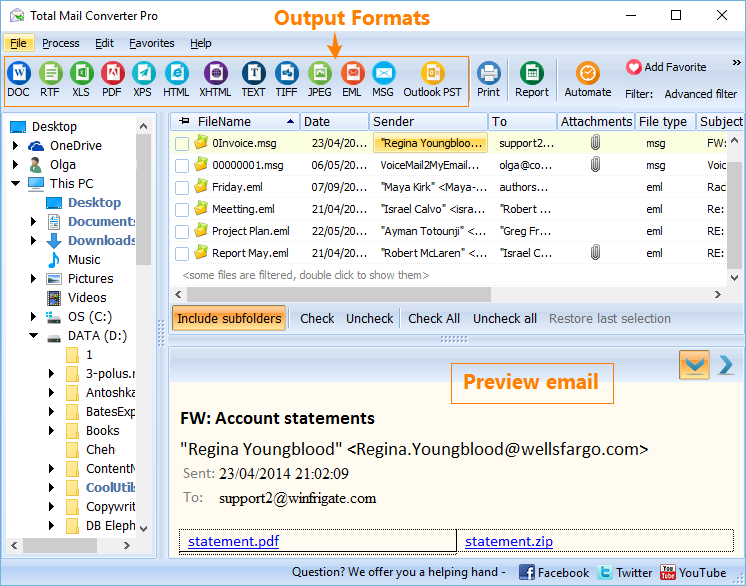 You can convert attached documents and messages to MSG and save the rest of attachments unchanged to a folder. 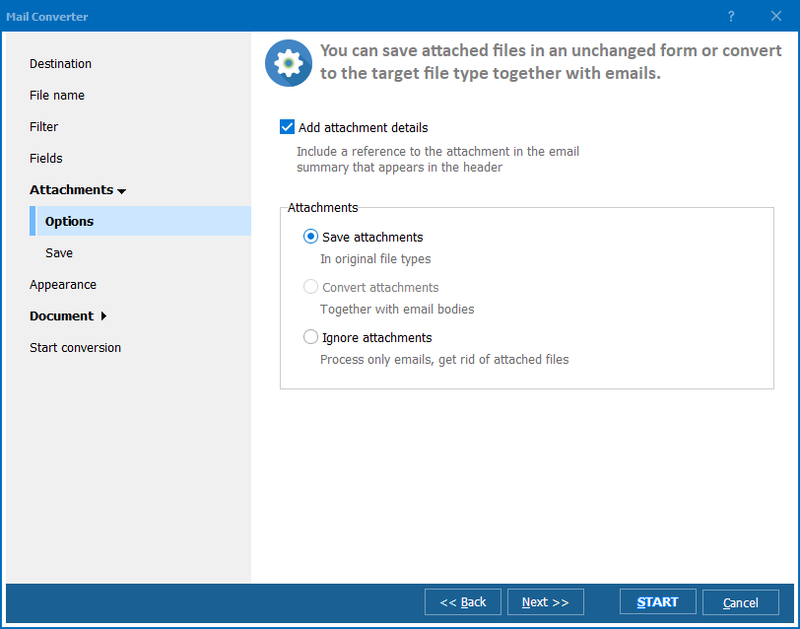 Such conversion will help you to recognize unreadable attachments and emails and adapt them for using in your software. Try it for free during 30 days!